Most of you have discovered that mattress disposal is harder than it looks. Mattresses are awkward to carry, much heavier than they appear and extremely difficult to fit into most vehicles. This makes it nearly impossible to transport them to a proper disposal location. Contrary to what you may see in alleyways, you should not simply throw your old mattress in a dumpster or leave it on the curb with your garbage (unless you call for our curbside junk removal service). These eyesores are a breeding ground for bacteria and unwanted pests, and lets face it, it’s ugly. There’s a better way to deal with mattress disposal, and it’s a quick and simple solution. We’ll take care of it for you! Student Works Disposal will promptly come and deal with your mattress disposal and help find it a proper resting place. Depending on the condition of your mattress, we’ll do our best to donate it to charity whenever possible, or ensure that it is broken down for recycling. If an item can not be reused or recycled we make sure it is disposed of responsibly and not left to rot in the street. We recycle mattresses and donate to charity whenever possible. 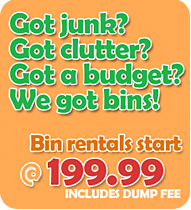 Rather than loading up everything into a junk bin and hauling it to the dump. We like to take the time to sort through the items we pick up and determine what can be donated to charity or be recycled. Here are some reasons why we feel it is important to recycle and support local Vancouver charities. You may be upgrading to a new mattress, but someone else could still get some use out of your old mattress. 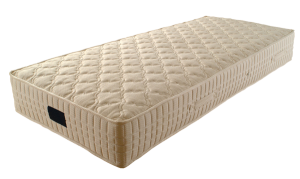 A mattress donated means one less mattress taking up valuable space in a landfill. The coils within a mattress box-spring can be recycled and remade into steel to be used for other purposes. The foam from your old mattress can be processed to produce foam cushioning to go underneath carpets. The wood from the box-spring can also be broken down into mulch, bedding for animals, or biomass fuel. Student Works Disposal makes mattress donation, recycling, and disposal easy.